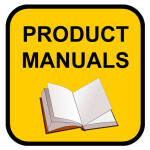 Looking for a product manual for your lock or safe? Have a browse through our data tree below, or use the search bar to find what you’re looking for. If you need help, you can always send us a message! Click here for the online version of our ECHO User Manual!